Happy Monday! I’m doing a little blog post review on this Crossover Buick I got the opportunity to drive last week! Fun fact about me: I absolutely love SUV’s haha. I drove a crossover in high school and I just loved it. I like sitting up higher in vehicles so I can see well, and I’ve just always preferred SUV’s to sedans. So when a Buick rep reached out to me to drive this little baby, I couldn’t say no! I mean… a brand new, clean car for a week? Heck YES. 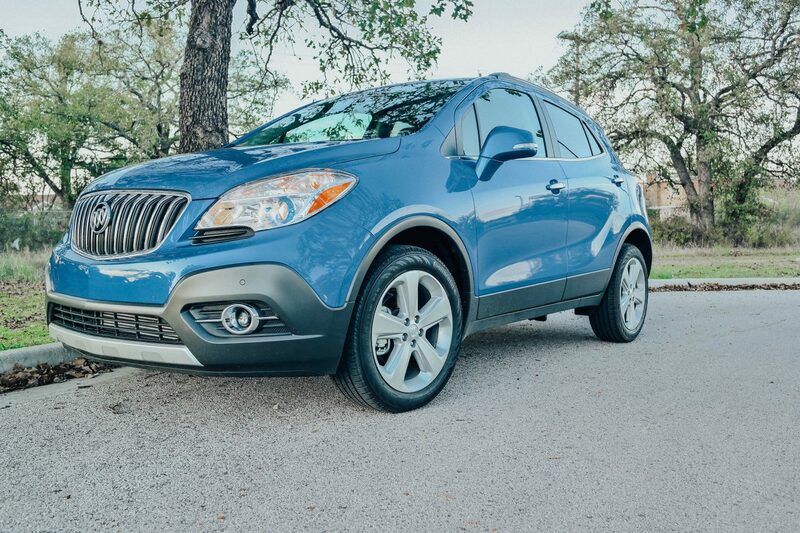 After driving this Buick Encore, I have to say that I am in love. There are so many cool things about this car, and if the timing was right I would definitely be looking into getting one but maybe in a different color. This blue color is really pretty but I’m a black car kinda gal. The car had a backup camera, lane sensors, leather seats, seat warmers (maybe my favorite part), and lots of storage. I also loved how wide the front window is. I felt like I could see everything! Loved it! So, overall I would definitely recommend this car to anyone in the market for a new crossover. Buick has definitely impressed me with their new models they’ve come out with. They are worth looking into for a test drive! 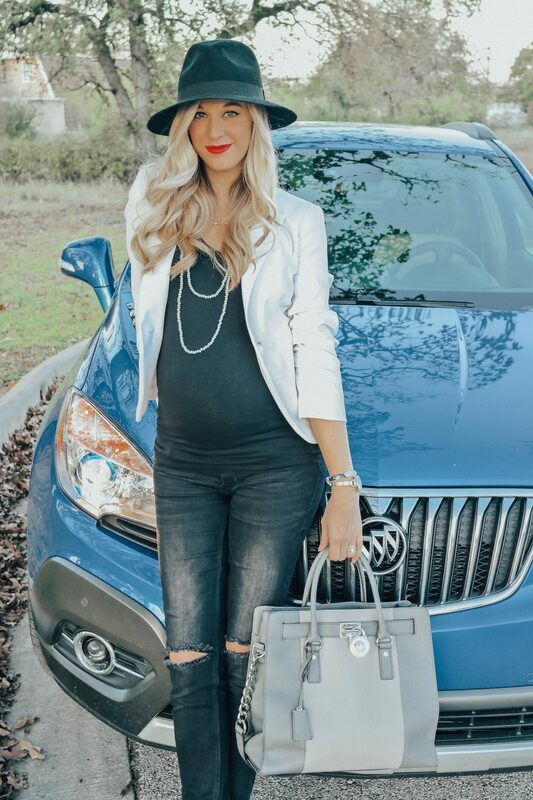 To get my outfit details, scroll down below and thanks again to Buick & Eat Out For Good for letting me drive this beauty! Your pictures are really look great and very fashionable because you have a very good personality. Dressing is also very important aspect to increase the personality of a person. Your dressing is also very good and attractive.